If you are a student, you can now buy discount Machu Picchu tickets using your university id card (University ID Card). Until some time ago this could be done only with the ISIC Card, but many people tried to obtain the discount by falsifying these cards, generating setbacks and various inconveniences when entering Machu Picchu. But this has made things easier, you can now reserve the tickets for Machu Picchu with discount for students, with your university id card. 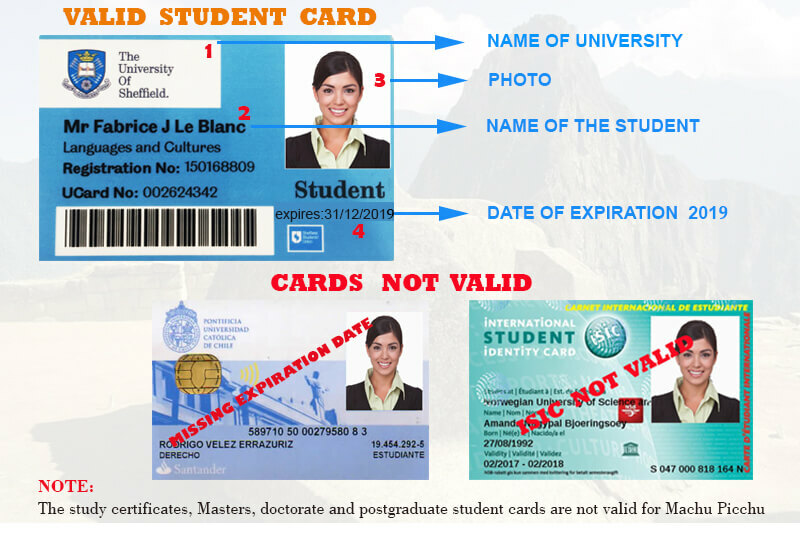 Important: The STUDENT ID CARD (University ID Card) is the only valid document to obtain the student discount on the price of the Machu Picchu Tickets. You should send a digital copy or picture of the card. No study certificates or any other document other than the valid university card will be accepted. Please note that to proceed with the reservation, the validity date of your card must be kept until at least the day of your visit to Machu Picchu. What will you need to reserve Machu Picchu student tickets? 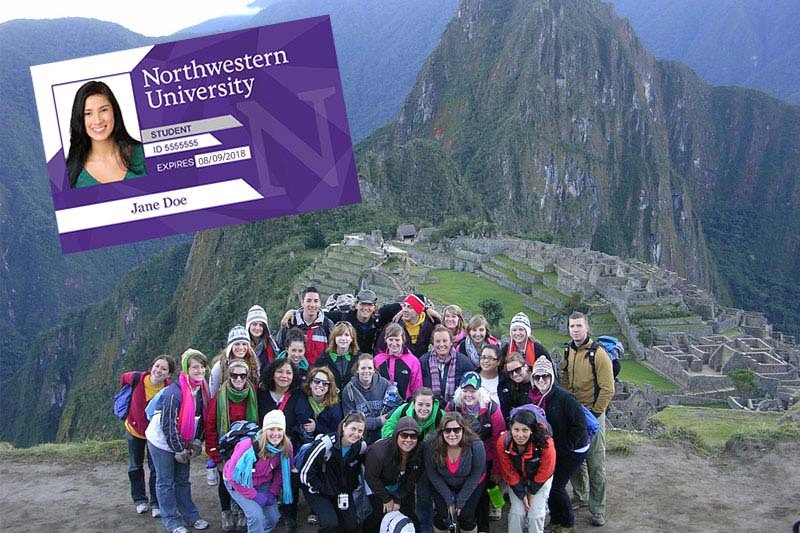 Students from universities and institutes in Peru can obtain the student discount on their Machu Picchu tickets with the copy of their current university id card, along with their identity document. The only way to access the Machu Picchu ticket that includes the Huayna Picchu mountain is to reserve one of the 400 available tickets in advance. We do not recommend waiting to be in Cusco to buy the tickets Machu Picchu. This will only make you have to choose between the remaining Machu Picchu tickets. Another important point is that, you must know the date you will enter Machu Picchu to reserve the train tickets, also in advance; otherwise you will have to choose between the most expensive train services. Check the list of objects that can not be taken to Machu Picchu; he knew that he can not enter with a selfie stick, or if he comes dressed in some typical costume of his country. Remember to check the data and the date of entry before making the payment, after acquiring your tickets Machu Picchu, there are no refunds of any kind.